Closed Positions was presented by Circa Projects Gallery in Hamilton, Ontario. This series is drawn from a low-fidelity instructional videotape on How to Waltz. The solitary lesson, performed for the camera’s benefit by a lone male-and-female pair, becomes social as their figures are mirrored in pastel colours and various stations. The catalogue for the show can be found here. It includes essays on the show by multimedia artist Christine Lucy Latimer and filmmaker and film historian Pablo Marín. Midland draws from diverse influences such as the calligraphic palimpsest paintings of Cy Twombly and the avant-garde films of Bruce Baillie. As in Twombly’s late polaroids, this project is committed to eternal and mythological themes: Midland has its origins in my film Brébeuf, shot at sites in Midland, Ontario that were central in the missionary and ethnographic work of Jean de Brébeuf, who, along with Gabriel Lalament, was martyred by the Iroquois at St. Ignace II in 1648, a consequence of their mission to convert Hurons to Christianity. The images originate on 16mm motion picture film, and then through a series of chance operations, are combined digitally to create densely layered collages. The resulting images combine landscapes with other photographic subjects and solid colours, creating collisions between forms. Midland 3 (2012). Collection of the Canadian Filmmakers’ Distribution Centre. 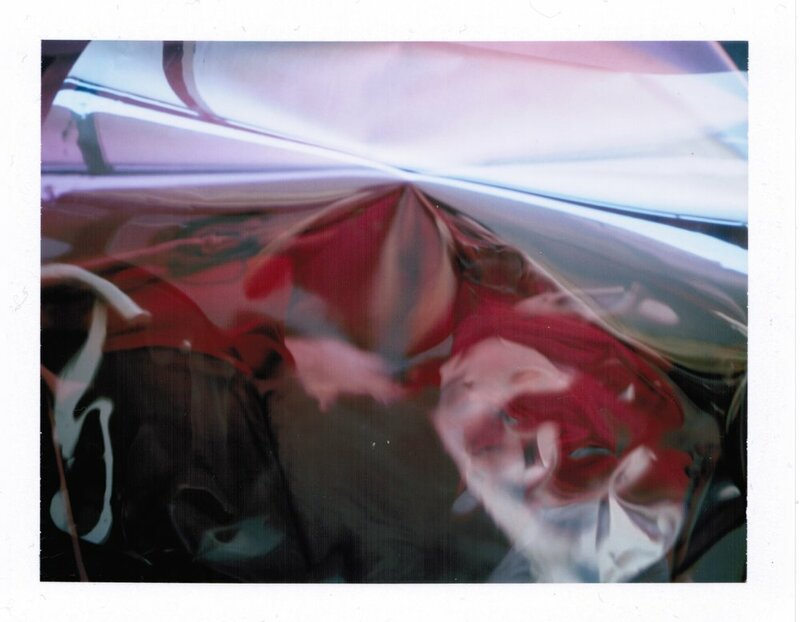 I began to take abstract and double-exposed instant photographs in 2006. These images were personal, taken as studies and gifts. They were first exhibited at Setzkasten and Zwischendecke in Vienna, Austria, as part of From A to Z, a group exhibition curated by Madi Piller and Clint Enns.